In 2005, Nick and Camilla Barnard had one thing on their mind: they wanted to make food that would bring “joy and nourishment”, by keeping things simple and natural. Well, we think they’ve gone and done it. Just take their dairy-free drinks. They have fewer than five ingredients in, and Nick thinks they make “the best almond drinks you don’t make yourself”. We couldn’t agree more. And don’t even get us started on their Ultimate Muesli... let’s just say, it’s called ‘Ultimate’ for a reason. 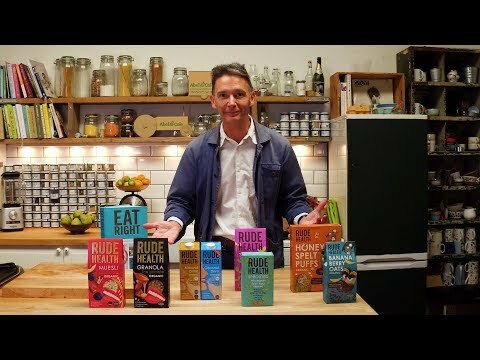 Rude Health don’t just make food that’s super-delicious and super-healthy, but they do it with sustainability on their mind too. Their old tetra packs are sent to Hackney City Farm, where they’re re-used as roof tiles. And because almond production in California is damaging the environment, Nick and Camilla have decided to get their almonds from European farmers. This way they’re grown closer to where their drinks are made, and it’s a much more sustainable affair. Brilliant all round then.